Inside the KTM Racing Division building in Munderfing the principal workshop is covered with KTM RC16 MotoGPTM bikes and components. A large-scale amplification of the road racing effort is underway for 2019 and it feels like the HQ is awash with slicks and MotoGPTM technicians and experts. In the corner of the main atrium two MXGP factory dirtbikes sit prone and ready. 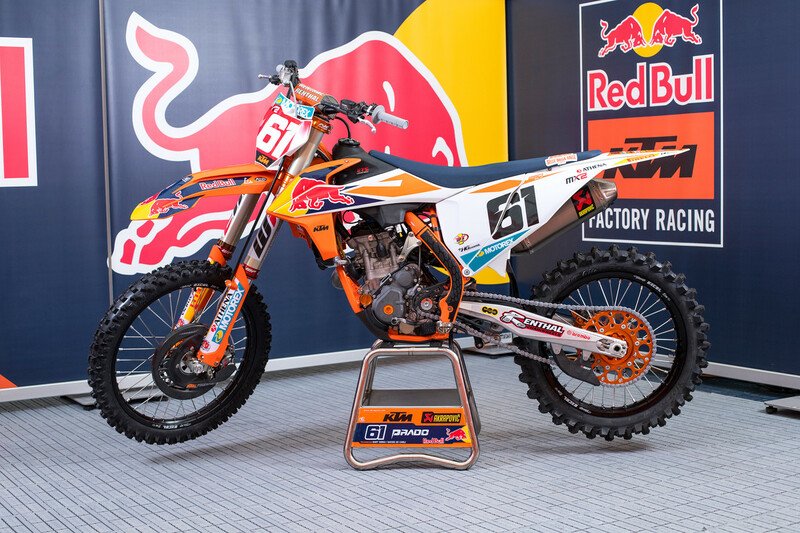 The KTM 450 SX-Fs works machines may only need a fraction of the technical upkeep and refinement of their MotoGPTM cousins but this racing technology is the undisputed King of a (now crowded) facility that also houses Dakar, Rally and Enduro title-winning pedigree. 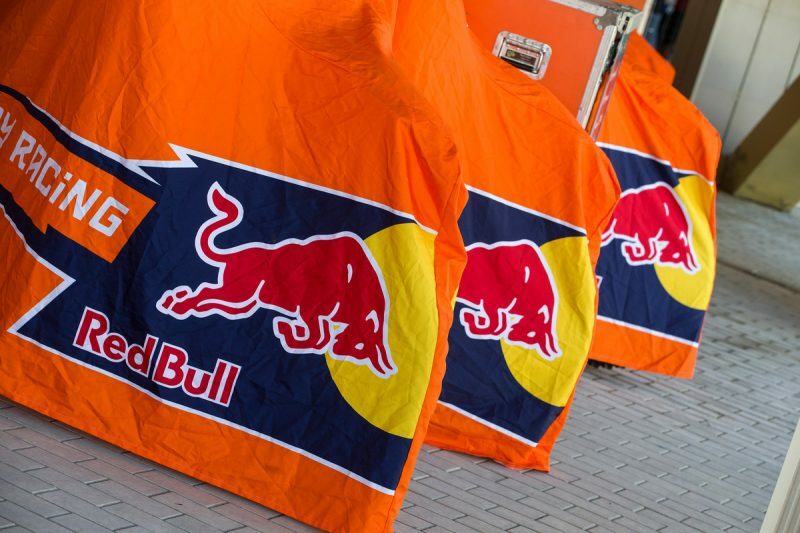 In 2018 Red Bull KTM owned MXGP unlike any other team or brand in recent memory. 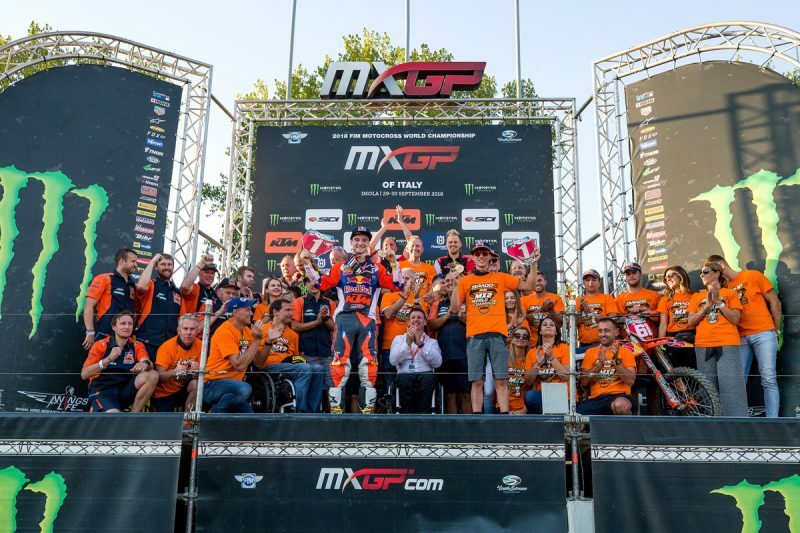 They were 1st and 2nd in both MXGP and MX2 classes and from 20 rounds they harvested 19 and 17 wins in both categories respectively. 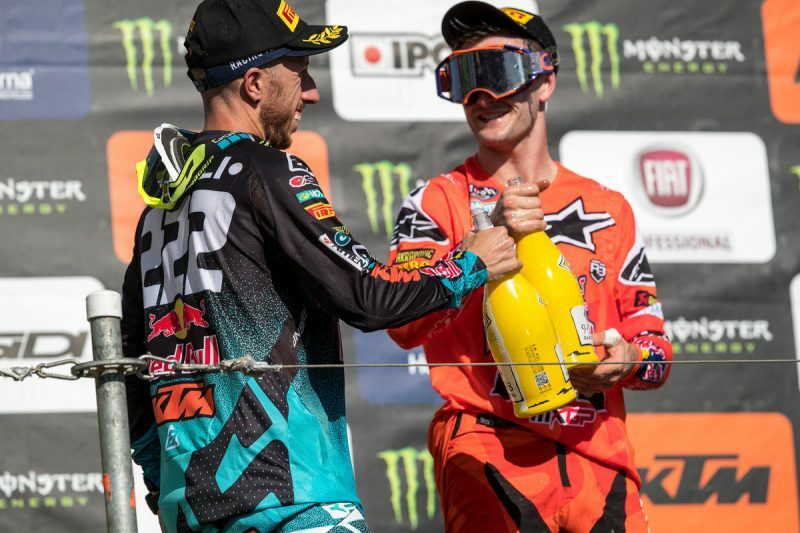 They appeared on the podium a total 29 times in MX2 and 33 times in MXGP (on 13 occasions Tony Cairoli and Jeffrey Herlings walked the rostrum together, Pauls Jonass and Jorge Prado 9 times in MX2). Glenn Coldenhoff was unbeaten at the Motocross of Nations and the biggest stage for the sport. Back in Munderfing and on the first floor the management offices contain the odd shirt, trophy and red plate. VP of Offroad, Robert Jonas, has overseen copious amounts of success through his work alongside Pit Beirer. His workspace could be far shinier and much more cluttered … but the Austrian is conscious of the fickle nature of motorsport: motocross in particular with its keen emphasis on the form, shape and confidence of the athlete. Any casual viewer of MXGP will be aware that Red Bull KTM can call on two of the best racers of the 21st century in the forms of Herlings and Cairoli but such is the unpredictable (and hazardous) state of top-flight motocross that the meld of rider and machine does not automatically equal glory. Especially over nineteen rounds that stretch from Argentina to Asia. 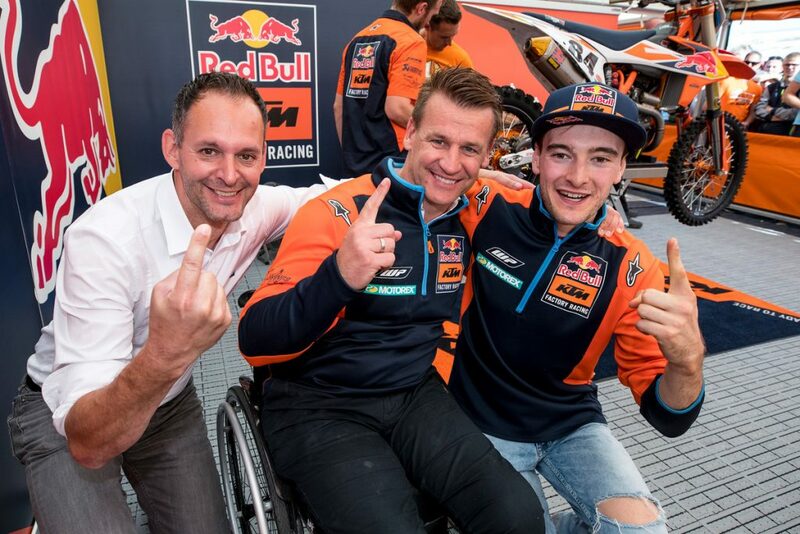 Herlings, Cairoli, Prado and Jonass all had their injury issues at stages of 2018 (Jonas: “Thankfully just little problems, and we have some tough guys who are quickly back on the bike! I think it was better to be in our position and still leading than struggling; that’s when the season feels even longer.”) but there was also another – unusual – facet of adversity: inter-team rivalry. There were memorable clashes among the quartet in Britain and Turkey but the tension of the title battles was largely contained without much drama or controversy and marshalled by team managers Claudio De Carli and Dirk Gruebel. Among all the other gains in 2018 this was another source of pride. 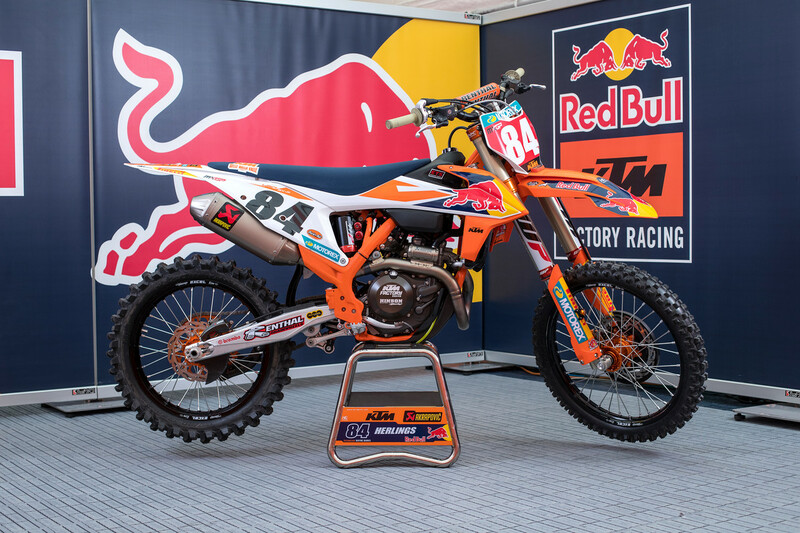 Red Bull KTM will be fortunate to scourge MXGP with the same intensity as 2018 but the series will undoubtedly feel a bright splash of orange in the months to come.